By popular demand comes the sequel to the original “Lost and Found” from the publishers of Old Cars Weekly magazine. 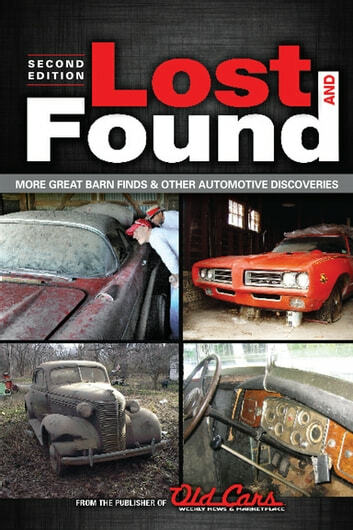 This collection of great automotive discoveries reminds us yet again that you never know where a prized old car might be hiding. Corvettes, Cadillacs, Packards, coveted muscle cars, even Duesenbergs seem to somehow emerge from hiding from us for years and even decades. Find out where some of them have been in Lost and Found 2nd Edition.